With over 20 years in residential finance, Scott L. Dostal joined then NewRez (formerly New Penn) team in the summer of 2010. His career began after his time at the University of Maryland when he joined an Annapolis based mortgage firm. In short order, he became one of their top Loan Officers specializing in refinances, debt consolidation, purchases and construction loans. Wanting to expand his network, Scott L. Dostal accepted a position with one of the nation's largest home builders. As a Sr. mortgage consultant for Lennar Home Builders, he became their top producing loan officer before moving to NewRez. During Scott's tenure in the mortgage industry, he has settled close to a Billion dollars in residential mortgage loans. Coastal Delaware's top real-estate agents began to recognize Scott as an extremely well rounded partner, well versed in all aspects of Conventional, Jumbo, FHA, VA and USDA loan programs. Perhaps Scott L. Dostal's greatest attribute is his competitive nature combined with an outgoing, friendly demeanor. For Scott it is always about getting things done and done extremely well. NewRez's desire to grow its business in and around the coastal Delaware region and its strong residential platform are a perfect match with Scott L. Dostal's ability to attract business from the area's top real-estate professionals, builders and attorneys while providing second-to-none localized personal service to their buyer/borrower clients. 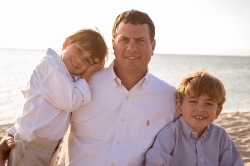 Ask any one of them how their experience with Scott L. Dostal differs from the rest and you'll quickly understand why he has become one of Delaware's leading mortgage bankers. Scott L. Dostal is licensed in DE, MD, PA and VA. Scott L. Dostal is a preferred lender for many of the top builders and real estate agents and does not work exclusively with one real estate broker but several. Scott L. Dostal is a member of several local organizations including Sussex County Assoc. of Realtors®, Rehoboth/Dewey Beach Chamber of Commerce and also a coach for Rehoboth Beach Little League. When not spending time with his wife and two young boys on the beautiful Delaware beaches, he can sometimes be found playing one of the local golf courses. You cannot go wrong with Scott L. Dostal financing your new dream home here at the beach! The data relating to real estate for sale on this website appears in part through the BRIGHT Internet Data Exchange program, a voluntary cooperative exchange of property listing data between licensed real estate brokerage firms in which Andy Staton Home Services | Keller Williams Realty participates, and is provided by BRIGHT through a licensing agreement. The information provided by this website is for the personal, non-commercial use of consumers and may not be used for any purpose other than to identify prospective properties consumers may be interested in purchasing. Some properties which appear for sale on this website may no longer be available because they are under contract, have Closed or are no longer being offered for sale. © 2019 BRIGHT, All Rights Reserved Information Deemed Reliable But Not Guaranteed. Data last updated: April 18, 2019 10 PM.